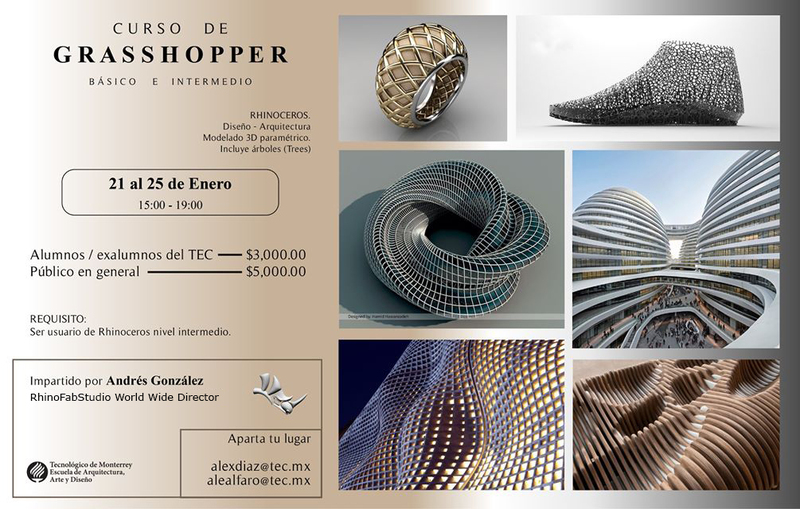 Join Andres Gonzalez, RhinoFabStudio worldwide director, at Tecnológico de Monterrey Campus Guadalajara for a 20-hour Grasshopper workshop! 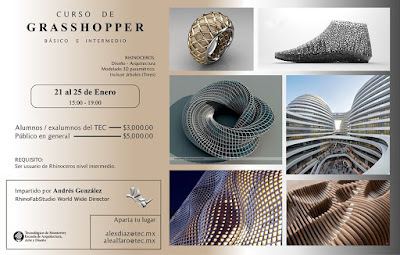 During this seminar, Andres explores primery and intermediate concepts of generative design and architectural modeling. Participants will learn about the interface, logic, data structures, and trees. Spaces are limited, register now!